The Mary Pappert School of Music is proud to present the Uptown Jazz Series, thanks, in part, to the generosity of the John R. Mattern Estate. The Monday night concerts feature a variety of jazz styles from faculty and visiting artists/ensembles. Each show begins at 7:30 p.m. in the Genesius Theater. General admission tickets are $10. Each year, this series features some sort of common thread. 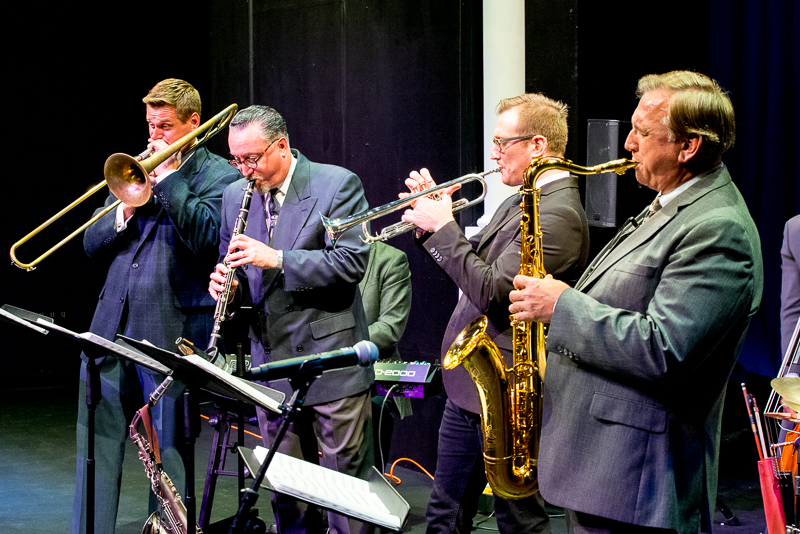 In its first year, UJS consisted of a showcase of the finest jazz performers and groups Pittsburgh has to offer, including the Pittsburgh Jazz Orchestra Little Big Band, Paul Thompson Group, Tania Grubbs, Boilermaker Jazz Band, THOTH, and Salsamba. Then, in its second year, each concert represented one stylistic period in the history of jazz, culminating in a concert of current music deeply rooted in the jazz idiom. Now in its third year, the Uptown Jazz Series brings you Giants of Jazz. Each concert in the series will feature a retrospective on two influential jazz artists. Uptown Jazz concerts regularly feature faculty of the Mary Pappert School of Music, as well as notable guest artists. Tickets are now available for this year's Uptown Jazz Series. You may choose to purchase a season pass ($60 each), which gives you 1 ticket to each concert, or you may choose individual tickets to each concert ($10 each ticket). Please note: Once you purchase a season pass, you must make a reservation for each concert in order for your name to appear on the will-call list for that concert. 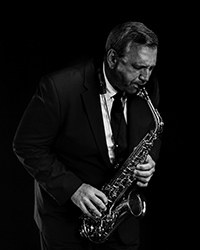 Mike Tomaro has been the Director of the Jazz Studies Program at the Mary Pappert School of Music at Duquesne University in Pittsburgh, PA since 1997. This saxophonist, composer, arranger and educator earned his B.S. degree in Music Edu­cation from Duquesne University and his M.A. degree in Saxophone Perfor­mance from George Mason University in Fairfax, VA. Prior to his appointment at Duquesne, he lived in the Washington, D.C. area for seventeen years as a member of the Army Blues Jazz Ensemble, a unit of the prestigious "Pershing's Own" U.S. Army Band. While a member of this group, he served as its Enlisted Musical Director and performed for Presidents Reagan, Bush and Clinton as well as heads of state from around the world. He also composed and/or arranged much of the Army Blues repertoire and was featured as a soloist on several of the group's albums and CDs. Mike is a Yamaha Performing Artist and endorses Vandoren reeds, mouthpieces and ligatures exclusively. To learn more about Mike, visit his faculty profile page.